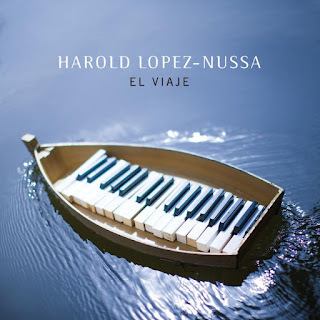 "El Viaje (The Journey)," the title track of Cuban pianist and composer Harold López-Nussa's debut release on Mack Avenue Records, seems to sway gently like a boat in the water--as if readying for a voyage or returning to port after arrival--trumpet and voices whispering memories. This scene aptly describes López-Nussa's experiences of traveling throughout the world, yet always finding his way back to his hometown of Havana, Cuba. This journey of body and spirit has led simultaneously to a musical exploration where he visits various genres and ideas while staying true to his foundational roots. The release of López-Nussa's music stateside is a significant postscript to President Obama's recent trip to Havana. The conservatory-trained pianist is the first Cuba-based musician (he has dual citizenship in both Cuba and France) to release an album internationally since the lifting of many of the restrictions associated with the longstanding trade embargo. States Mack Avenue Records President Denny Stilwell, "Harold follows in the modern day tradition of exemplary Cuban pianists who have recorded and toured internationally. We feel he is an emerging artist with immense creative potential to breakthrough." El Viaje features The Harold López-Nussa Trio with younger brother Ruy Adrián López-Nussa on drums and percussion and from Senegal, Alune Wade on bass and vocals. This trio is augmented on certain tracks with guests including his father Ruy Francisco López-Nussa on drums, Mayquel González on trumpet and flugelhorn, and Dreiser Durruthy and Adel González on percussion. 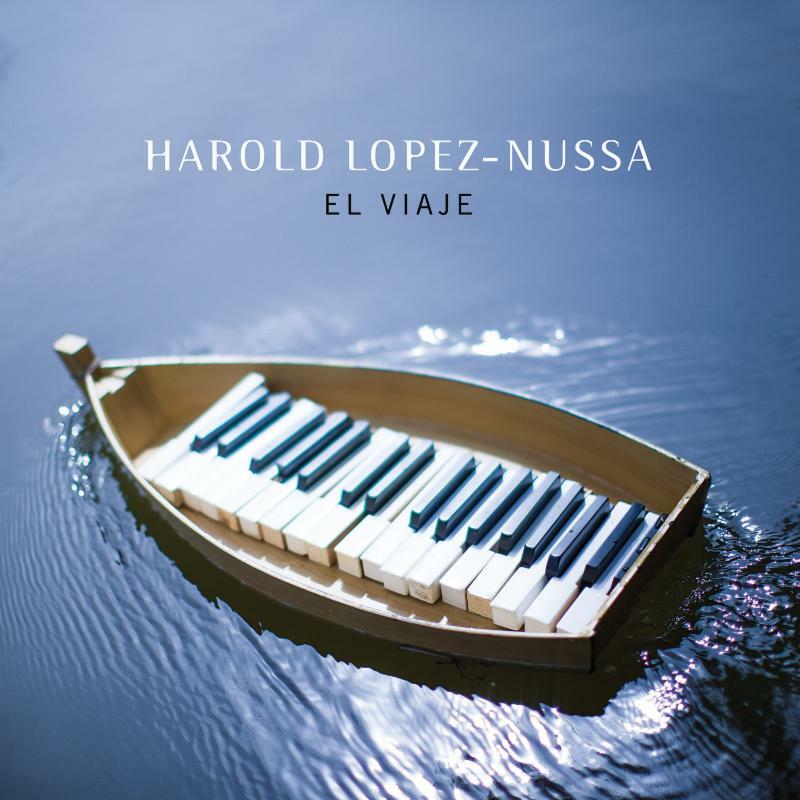 López-Nussa, who collaborated with Wade on the 2015 album Havana-Paris-Dakar, noted: "Having a non-Cuban musician on this recording speaks to our contact with other cultures. Especially with African culture, which is so far from ours geographically and yet so close. Every time we play, I believe we enter into a journey we are creating," he says, speaking from his home in Havana. "Ever since I was a kid, since I began to study piano, music, I have tried; I have searched for that journey of the mind, always traveling with music. I remember that I started playing 'El Viaje' while on tour as a way of feeling closer to home, and when I'm here, it's also a way for my mind to travel." López-Nussa was born into a musical family in Havana on July 13, 1983. Not only are his father and uncle--Ernán, a pianist--working musicians, but his late mother, Mayra Torres, was a highly regarded piano teacher. At the age of eight, López-Nussa began studying at the Manuel Saumell Elementary School of Music, then the Amadeo Roldán Conservatory and finally graduating with a degree in classical piano from the Instituto Superior de Artes (ISA). "I studied classical music and that's all I did until I was 18," he says. Then came jazz. "Jazz was scary. Improvisation was scary. That idea of not knowing what you are going to play..." he says, his voice trailing off. "At school I learned the works of Bach, Mozart and Beethoven and then it was all very clear. That permanent risk in which jazz musicians find themselves in all the time was terrifying-of course, now I find myself in that risk all the time." Other compositions on the album speak of places on the map and the past -- "Me voy pa' Cuba (I´m Goin´ to Cuba)," "Inspiración en Connecticut (Inspiration in Connecticut)," "Oriente," "Africa," and Chucho Valdés´ classic "Bacalao Con Pan (Cod on Bread)." Throughout, the music is muscular, elegant, familiar and fresh, rooted in Cuban tradition yet permeated by different accents. In "Feria (Fair)" the sound of what could be a Cuban neighborhood dance party takes on an African groove before becoming a New York story with Thelonious Monk's "Evidence" as its soundtrack. "Lobo's cha," a bolero with a hint of Parisian melancholy, almost imperceptibly becomes a modern cha-cha-cha. There are no instrumental gymnastics, no look-at-me solos here, just clarity and purpose-and understated brilliance. Even as López-Nussa brings his experiences elsewhere back home, Havana never becomes just a backdrop. This is a recording made in Havana. For him, the city, its sounds and its people are a point of departure--and return. "I've always liked the idea of projecting myself to the world from here," he says. "The personal ties are very strong for me. A lot ties me to this country," he said. "I want this to be my place to create--even if I can have those great experiences traveling. The personal is essential for my creative process. Being able to go out into the neighborhood where I grew up, a place that I know so well, walk on the Malecón, sit by the sea. This is where I want to be." López-Nussa has moved with ease between the classical, popular and jazz music worlds. A quick look at his experiences reveal a recording of Heitor Villa-Lobos´ "Fourth Piano Concerto" with Cuba's National Symphony Orchestra (2003) but also winning the First Prize and Audience Prize of the Jazz Solo Piano Competition at the Montreux Jazz Festival, Switzerland, in 2005. He was part of projects as diverse as Ninety Miles (a recording with David Sánchez, Christian Scott and Stefon Harris) and Esencial (an album of compositions by revered Cuban classical guitarist, composer and conductor Leo Brouwer), both in 2011. As for his popular music and on-the-job training, he was part of projects such as the Cuba volume of Rhythms del Mundo, which paired him with veterans from Buena Vista Social Club and he spent three years in the touring band of singer Omara Portuondo, an opportunity he calls "a blessing." He has distilled all those experiences not only into a rich, personal style, as a player and composer, but it infused López-Nussa with an engaging attitude about making and sharing music.